This selection of Rabindranath Tagore's stories exemplifies his remarkable ability to enter the complexities of human relationships. 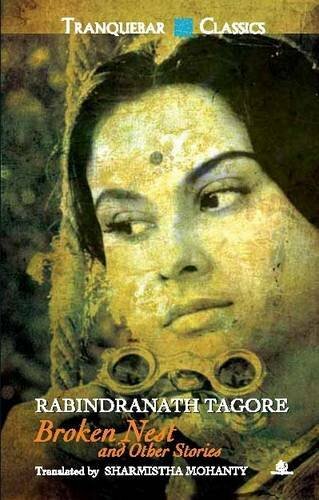 Within seemingly simple plots, Tagore portrays with extraordinary compassion and lyricism the predicament of women in traditional Bengali contexts, moving from the loneliness of an intelligent, beautiful woman neglected by her husband in the Nobel Laureate's acclaimed novella Broken Nest, to the powerlessness of a young girl whose prized possession is taken away in Notebook, from the casual abandonment of an orphan in Postmaster, to a girl robbed of her childhood in The Ghat's Tale. Powerful, brilliant and astute, the novella and three short stories included in this collection - translated here by acclaimed fiction writer Sharmistha Mohanty, who has brought into English the music of Tagore's narratives - are Tagore's finest prose works. Rabindranath Tagore - poet, playwright, novelist, painter and composer - reshaped Bengali literature and music in the late nineteenth and early twentieth centuries. Of Tagore's prose, his short stories are perhaps most highly regarded : he is credited with originating the Bengali-language version of the genre. He was awarded the Nobel Prixe in Literature in 1913. Sharmistha Mohanty is the author of two novels - Book One and New Life. She is the founder editor of Almost Island, a literature journal on the web.